Closed. 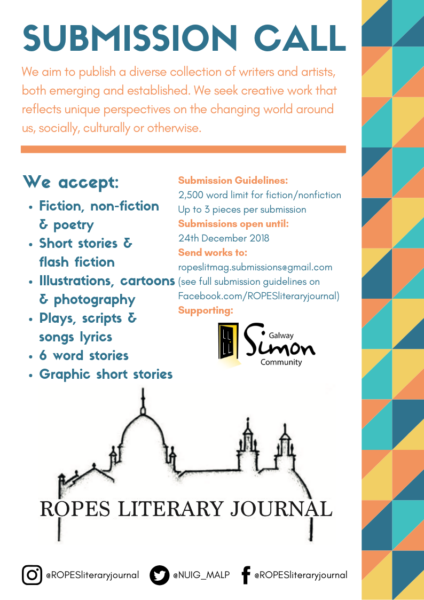 ROPES literary journal published by MA in Literature & Publishing students at NUI Galway currently in its 27th year. They are currently seeking submissions for the 2019 publication. This year, their focus is diversity and we hope to unearth hidden voices that represent our modern and diverse society. For more information and guidelines, please check out ROPES’s Facebook page.